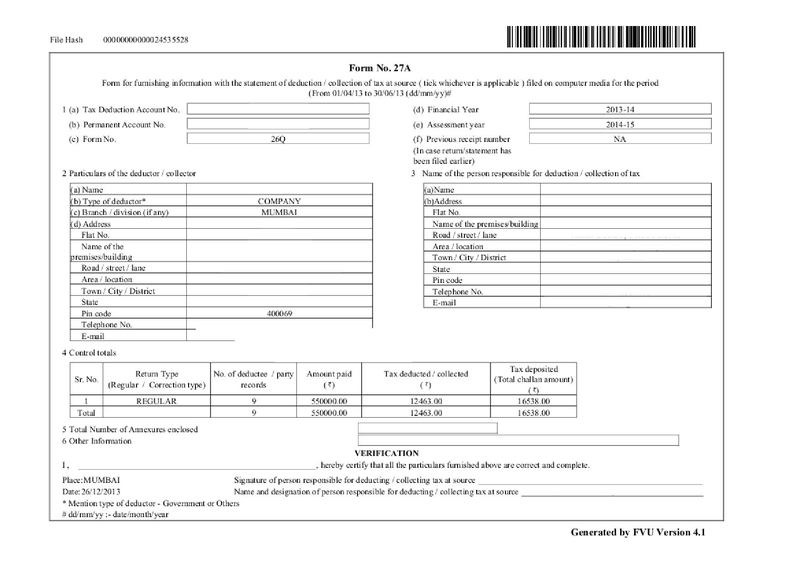 (a) Salary as per provisions contained in sec.17(1) Rs. (b) Value of perquisites u/s 17(2) (as per Form No.12BB, wherever applicable) Rs. Hence deductors may treat this as type error and replace 12BB with 12BA. for the same purpose. This is to be calculated on maximum outstanding monthly balance. • Less actual interest paid by employee. • Loan upto Rs. 20,000. Tax u/s 206AA is to be calculated on taxable income . No need to add education cess. If taxable income of employee does not exceed the exemption limit but he has not submitted PAN, should TDS be deducted @ 20% u/s 206AA. ? A contrary view is that the in such case there is no need to deduct TDS.